A South Carolina woman was charged with criminal neglect when her 14 year old son reached a shocking 555 pounds. I am sure that many of you can understand the charge because the example is so egregious. But how do we know this is really the mother’s fault? And if we do decide to charge parents of obese kids with child abuse, where do we draw the line? As a Pediatrician and Child Obesity Expert, I see a wide range of overweight children. 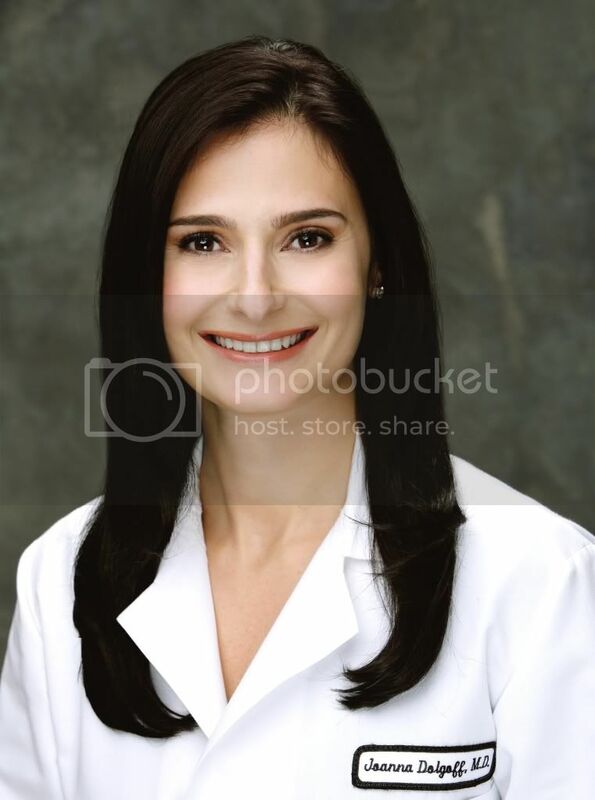 Some patients are simply ten pounds overweight while others are more than one hundred pounds overweight. How do you decide who to charge with criminal neglect? Many of the parents of my morbidly obese patients have been struggling (unsuccessfully) to keep their kids’ weights down. They beg. They plead. They keep junk food out of the house. They lock their refrigerators. Yet these kids still manage to gain access to food. It is somewhat easier to protect a younger child. But even at school, a kid can overeat. All a child has to do is cry that he is hungry and the lunch aides will serve him a second (or even a third) helping. And many a heavy child has begged their thinner classmates for some of their lunch. At the many parties thrown in class (for birthdays, holidays, and “special” days), these kids try to eat as many servings as possible. Even worse, a Mom may give her daughter some money to buy a turkey sandwich and never know that she used it to buy French fries and cookies instead. Parents have very little control over what their kids are eating out of the house. Socioeconomic factors also play a role in the development of child obesity. I will admit, my family and I ate at McDonald’s last month during a long car trip and I was shocked at how little it cost. My family of four ate for less than $15. It’s no wonder that families with little money often opt for this cheap, but unhealthy, option. Obesity rates are also affected by environmental factors, like access to playgrounds and parks. Many families live in unsafe areas where kids can’t simply go outside to play. These children are often kept indoors for their own safety. And what do these kids do while cooped up in the house? 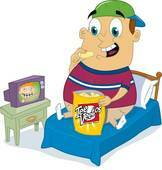 Eat and watch television, more risk factors for weight gain. How can we blame parents for these inequities? Some kids are genetically predisposed for obesity. While less than 10% of all cases of child obesity are due to known genetic defects, it does happen. Some individuals are deficient (or resistant to) the effects of a protein called leptin. Leptin is what tells our brain that we are full and no longer need to eat. Mice studies prove that mice with leptin defects become obese, sometimes to the point of eating themselves to death! These mice will eat until they become sick… and then they eat some more. Some obese individuals have been found to have these same leptin defects. Clearly, obesity in these kids cannot be their parents’ fault. It is possible that genetic defects are responsible for more cases of child obesity than we realize because we haven’t yet discovered the responsible genes. I would hate to put a mother in jail or separate a family only to find out a few years later that the child suffers from a previously unheard of genetic defect. There is simply no way to know for sure whether a child is obese because of a parent’s neglect or some genetic predisposition. This is not simply conjecture. A family in Britain was on a Social Service’s watch list, at risk for losing their children, due to their kids’ weights. Luckily, Dr. Sadaf Forooqi discovered a gene deletion that left these kids unresponsive to leptin, causing them to live in constant hunger. Dr. Forooqi spoke to authorities and Social Services dropped the investigation. Had Dr. Forooqi not made that discovery in time, this family would have been devastated for no reason! So let’s go back to our initial example of the 555 pound South Carolina teen, Alexander Draper. His mother, Jerri Gray lost custody of her son and is being charged with criminal neglect. Gray is facing 15 years on two felony counts, the first U.S. felony case involving childhood obesity, said her lawyer, Grant Varner. Could Alexander suffer from an unknown genetic abnormality? Are we sure that he can control his hunger in a normal way? Alexander Draper hasn’t even been tested for genetic causes of obesity, according to Varner. How can we justify putting this woman in jail for something that may not be her fault? We don’t know what goes on in that house. It is possible that the problem lies within Alexander’s DNA. And how can we punish his mother for that? Now I am not saying that all parents are blameless. It is horrifying to see parents feeding obese children unhealthy foods and parents must be responsibility for keeping their kids as healthy as possible. I am just not sure that jail is the answer. Thanks for writing about understanding childhood obesity. I have 6 children, 4 normal weight, one small and slightly underweight, and one obese. Since he displayed eating problems, like having hunger directly after eating dinner, I consulted our doctor. Because he's autistic and uses meds he was referred to his psychiatrist. She said it wasn't a problem. Another psychiatrist 2 years later, more kilo's later. Other meds. Now we know they cause weight gain, then we didn't. It even was reported that kids would lose weight. He gained. 15 kilos in 2 months. I begged for help. Ofcourse I used all I could to stop him, but he experienced hunger. All the time. He ate plain bread after we removed everything. Didn't stop eating. Finally he was referred to a pediatrician. We didn't even see him, because the policy of the hospital was to send obese children to the fitnesscentre. We're no many kilo's further and two month ago his psychiatrist said he would refer him for eating disorder. We're now dealing with puberty. He's overweight, strong, kicks the walls when he doesn't get food. I doubt if he'll accept help when help would be available. I'm OK to bring him to sleep and let him lose weight in that (old fashioned) way. All we're told is that he should exercise. But that doesn't fix his hunger. We need a good neurologist to see him, to exclude any braindamage. But we can't without a referral. A.V.A, I will keep you and your child in my prayers. It sounds like you are dealing with a very difficult situation. I hope you are able to find the help that your child needs. This is a very thought-provoking article. It's hard to know where the line should be drawn when it comes to issues like this (deciding whether to hold parents criminally responsible for their child's size). There are so many factors that vary. That being said, it's so hard to see what the children who are overweight go through. One of my son's kindergarten classmates is more than twice the size of the rest of the class. He has to overcome so much more than his classmates on a daily basis. My heart breaks for him and his struggles at such a young age.